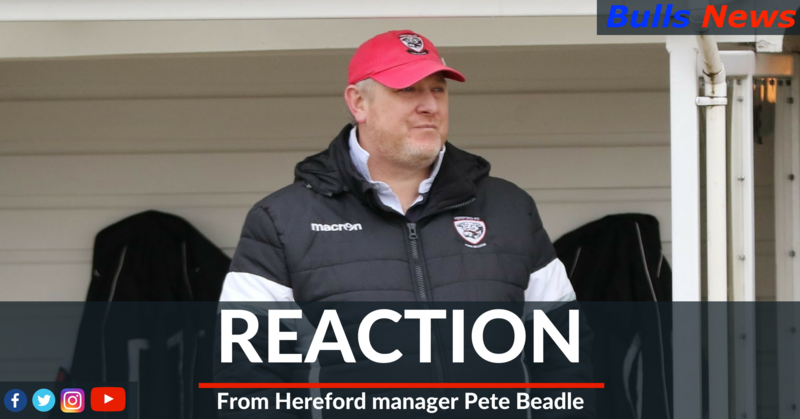 Hereford's full-backs have been told to get forward more and manager Pete Beadle is looking for more quality from them in the final third, but is so far pleased with their attitude. Last season's left-backs Cameron Pring and James Bowen both returned to their parent clubs at the end of last season and right-back Jimmy Oates has since moved on to pastures new, joining Exeter City. When asked if the full-backs love to get forward, Beadle said: "That's why we've brought them in. Keiran [Thomas] we're probably asking him to get forward a little bit more, at times he tends to sit back a little bit because he's a natural defender. "We want him to get forward a little bit more if possible, but him and Danny [Greenslade] are still getting used to everybody and it's still new. "Last year we had Cameron [Pring], James [Bowen] and Jimmy [Oates] on the other side. Jimmy had been with us for three years so he was like part of the furniture. "These two have come in, their attitude has been great and their performances have been solid. We'd just like a little bit more quality from both of them in the final third and that's what we're asking of them now." Looking ahead, there are no new injury concerns for the Bulls boss. "There's always knocks, kicks, bumps and bruises out the game, certainly as they [Nuneaton] upped their tempo second half and started to stick their foot in a bit more. "It'll be the usual stiffness and achey bodies on Thursday and we'll work around that and get prepared ready for Saturday." Keyon Reffell still hasn't recovered from injury and didn't travel with the squad to Nuneaton on Tuesday evening. Beadle added: "He hasn't travelled tonight because we want to give him as much rest and a chance to recover. He did a bit of work on Saturday and was still feeling it a little bit, but not as much as the week before." "Unfortunately it is just slowly slowly and we've said it would've been lovely to have him out here tonight. He's one that can unlock defences with his play. "We're not quite there yet with everybody, but Macca [Mike McGrath] has had a bit of an interrupted pre-season, Calvin [Dinsley] the same and there's one or two out there who aren't quite up to speed yet. "Macca looked a bit tired towards the end of the second half, but we're almost there and we've been really pleased with the performances in the last two games and we're in a good place at the moment."